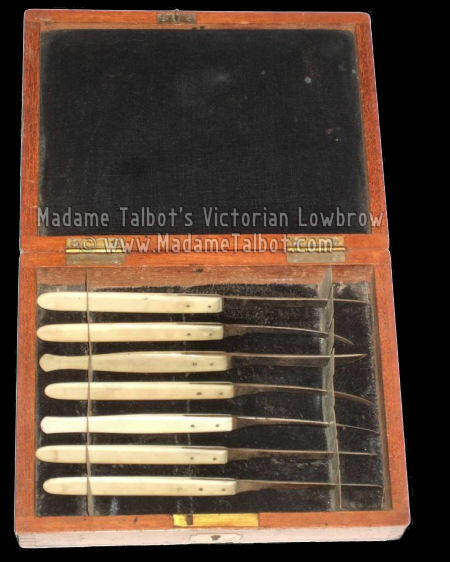 This is an antique 19th century mahogany box containing a set of 7 bone handled scalpels. The area where the blade meets the handle is marked Wood. One blade is marked Down London. The box has a brass name plaque to the top that has not been engraved. The box is strong and intact. It has a key hole with no key.